Opera Diva Marilyn Zschau garners information from The Archangels while meditating. The words in religious texts are believed by many to have been transmitted to the writers from spiritual beings. 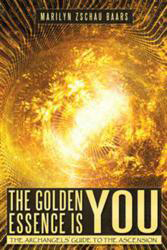 As Marilyn Zschau, writing as Marilyn Zschau Baars, explains in her new book, The Golden Essence Is YOU: The Archangels’ Guide to the Ascension (published by Balboa Press), the Archangels inspired her to write down their instructions for all humans on Earth on how to prepare for the widely anticipated changes on Earth. Marilyn Zschau was born in Chicago, and moved to Raleigh, North Carolina with her parents at age five. She received her B.A. degree in Radio, TV and Motion Pictures at the University of North Carolina, Chapel Hill. In 1965, she was graduated from The Juilliard School of Music, and began her opera career touring North America with the Metropolitan Opera National Company. She has performed opera in such illustrious venues as the Metropolitan Opera, New York City, the Royal Opera, London, and La Scala, Milan. In Australia, she performed in Sydney and Melbourne with The Australian Opera (now Opera Australia), and with the Victorian State Opera and the Opera Company of South Australia, Adelaide over a period of almost 15 years, from 1979 through 1993. During her singing career, she developed an interest in metaphysics and spirituality, which fascinated her. She began receiving messages from The Archangels in 2003, and works now with them, transmitting messages and healing energies to clients. She is a Certified Clinical Hypnotherapist. She and Franciscus J. Baars were married in 2005. The post Information from the Archangels appeared first on About Meditation.